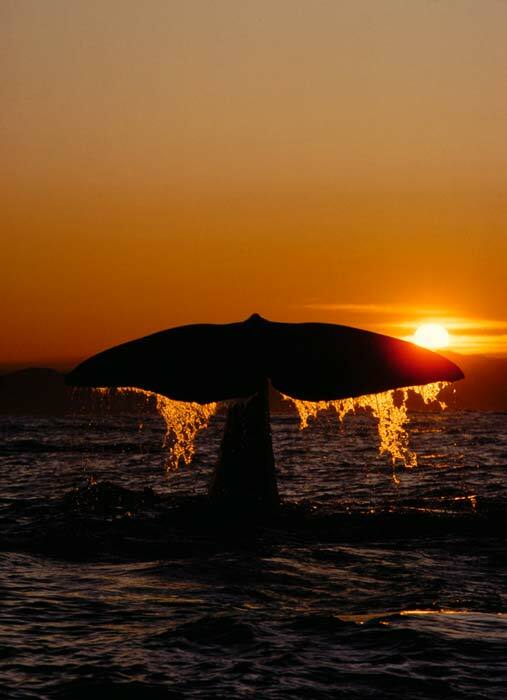 Although 22 species of whales are known to live in New Zealand waters, few are widely seen. The most visible are the sperm whales off Kaikōura, where there is a highly successful whale-watching operation. This sperm whale lifts its tail (an action known as fluking) before diving.